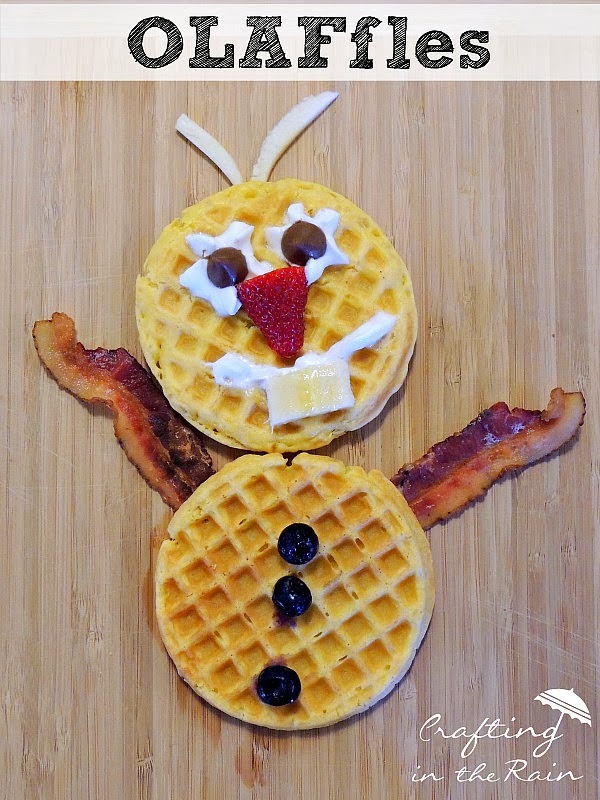 Frozen Movie Breakfast… Olaf Waffles… OLAFfles! 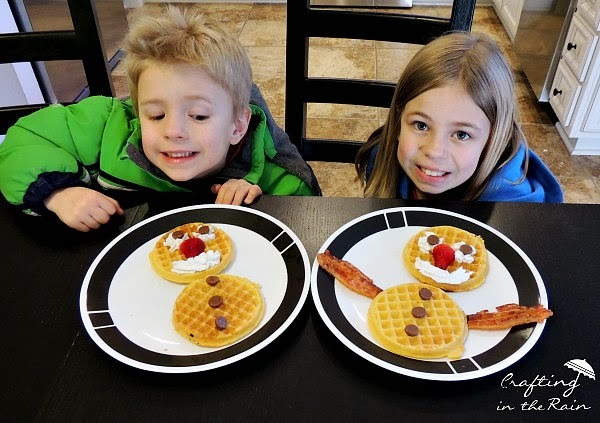 To celebrate we made our own little Olaf Waffles…and we called them…wait for it… OLAFfles! Ok, now that I’m done laughing at my own funniness, I’ll show you how to make them too. Place the 2 waffles on a plate and put 3 blueberries down the middle. Break the bacon for arms and make the face out of a cut strawberry for a nose. Piece of banana for his teeth, whip cream for smile and eyes and chocolate chips for eyeballs. I even cut little strips of banana to stick on top of his head. The kids had fun making their own too. For another fun Frozen post, check out my Anna and Elsa trick or treat bags over on Undercover Tourist! « Make a Leather Necklace …Plus More Craft Month!